A recent High Court judgement has clarified the threshold to be met in defamation cases where interlocutory orders prohibiting publication are sought, reaffirming the difficulty in obtaining such orders. 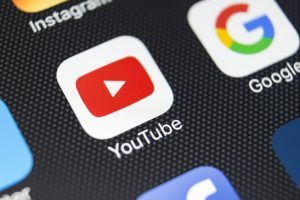 PG McMahon Solicitors act for the defendant in the case which the plaintiffs allege that a video published on YouTube by the defendant, an autism rights campaigner, defamed them. One plaintiff sought a prohibition order requiring that the defendant remove the video from YouTube pending a full hearing of the action. The Defamation Act 2009 revised Irish law on defamation and initially introduced some uncertainty as to the threshold a plaintiff must meet in order to obtain a the different orders provided for. Delivering judgment, Mr. Justice Allen noted that different sections of the 2009 Act used different language – for example, section 28 (declaratory orders) provides that a court must be “satisfied” that a statement is defamatory and section 30 (correction orders) says that there must be a “finding” that a statement is defamatory, whereas section 33 (prohibition orders) says that the court must be of the “opinion” that a statement is defamatory. The High Court had already confirmed in the first written judgment considering the test for an injunction under the 2009 Act (Philpott v. Irish Examiner  IEHC 62) that the threshold to obtain injunctive relief was high. Allen J further considered the test and did not believe that the Oireachtas intended to change the threshold for injunctive relief with the 2009 Act, concluding that the test is the same as that which applied at common law beforehand. After careful consideration, I have come to the conclusion that there is no difference between an “opinion” and a “finding” or the court being “satisfied”. It seems to me that the key to understanding what the test in s. 33 is, is that the same test is applicable to interim, interlocutory, and permanent orders. The jurisdiction of the court to make prior restraint orders is as delicate post 2010 as it previously was. I cannot conceive that the court would permanently interfere with free speech or the free expression of opinion unless in a case where it was satisfied and/or had made a finding that the statement was defamatory of the plaintiff and that the defendant had no defence. Also at Listowel, County Kerry by appointment. © 2019 PG McMahon Solicitors. All Rights Reserved. PG McMahon Solicitors is a partnership registered in Ireland. Registered business name 549684. We are regulated by the Law Society of Ireland and details of our insurance coverage is available at lawsociety.ie. * In contentious business, a solicitor may not calculate fees or other charges as a percentage or proportion of any award or settlement.